While I personally think that aging gracefully is a virtue, I can tell you one place where age really does matter: your website. After just a few years, even the most cutting-edge, beautiful, and well-designed website starts to look a little dated. And there are many websites out there that look like they haven’t been updated since 2005! Whenever I see one of those websites, I know that there is only one solution: a “facelift!” And believe me, when it comes to websites, I’m the cosmetic surgeon of your dreams! If a website were a body, the homepage would be the face. Your homepage is the first thing that a person sees when they click on your website on Google. If it doesn’t make a good impression, you’re already sunk. So then, why are there so many unattractive, dated, and borderline unusable homepages out there? Display the name and logo of your company. Share your unique selling proposition. Compel people to scroll down for more info. It’s time to liven up your old website by giving it a facelift! The first step of a comprehensive website facelift should always be a comprehensive website audit. And the first thing to focus on is the homepage. Whenever I see a homepage, I automatically clock these four things. If any of them are missing, I know that homepage isn’t doing the job it is supposed to for its company. Thankfully, it’s not overly difficult or expensive to give your homepage a facelift that will get people engaging with your content. You just need to know where to focus your attention. Right off the bat, if you don’t have an attractive and engaging logo for your company, you’re already falling behind. An appealing logo needs to do more than tell people the name of your business. It needs to communicate your entire brand through colors, design, and graphics. This logo should be prominently positioned in the upper left on every page of your website (acting as a “home” button). Not having a compelling and professionally designed logo is a common mistake with a lot of small businesses. There are more important things to spend money on, right? Not so fast. Your logo is a visual representation of your business. If it looks sloppy or poorly designed, that is going to deflect directly on you, especially when it comes to your website. If you are looking for a graphic designer who can help come up with an awesome logo, I’m your one-stop-shop! Together, we can create a logo that will encapsulate everything about your business in a single graphic! When I’m doing a website audit, I make a point to check this website “flow.” If it’s off, I look for places where I could simplify the experience. This could involve merging redundant copy, repairing links, or simply cutting unnecessary pages. Website design is about far more than making visually attractive pages. You need to think about the flow of your site and how your audience will navigate through it. If there are dead-end links, a confusing navbar, out-of-date landing pages, and dozens of redundant pages, your audience is going to lose interest fast and go elsewhere. The navbar is where the viewer of your website will click to navigate to different pages. I’ve personally found that simpler is better when it comes to navbars. You don’t want one that is super cluttered or loaded with drop-down menus. When designing a website, I like to start with these five pages: About, Services, Blog, Testimonials, Contact Us. Then I expand or subtract pages, depending on the services that you are offering. It’s easy when you know how! Here is an exercise that every small business owner should attempt: sum up your business in a single sentence. You might think that’s easy, but try giving it a shot. I guarantee that it’s harder than you think. Summing up all of the aspects of your business in a single one-liner (without it becoming bloated/super long), is tricky. It gets even trickier if you structure that one-liner in a way that will appeal directly to your audience. In newspapers, there is a concept called “above the fold” where the most important stories are always kept above where the paper is folded in half. The same concept applies to your website. The first part of the screen that loads should sum everything up about you and your business, including compelling copy about your unique selling proposition. You should also have some graphics here, visually underscoring that message. If you are having trouble summing up your unique selling proposition, you can turn to me. Together, we can brainstorm ideas that will perfectly sum up your business in a way that will convince your audience to immediately give your site a chance. All of these elements should come together to compel the person looking at the page to scroll down further for more information. After they pass, “the fold,” you should have some slightly more detailed information about your services and maybe testimonials from past clients. Everything on your website, from the color scheme down to the choice of background, is a call-to-action designed to get your viewer to continue exploring your site and content. I can help tie together every aspect of your website, making it into a cohesive and compelling experience for your audience. For a great example, take a look at how I recently revamped my own website! Doing website audits is actually one of my favorite parts of being a virtual assistant. I love helping people learn which section of their website works and which need to be revamped. 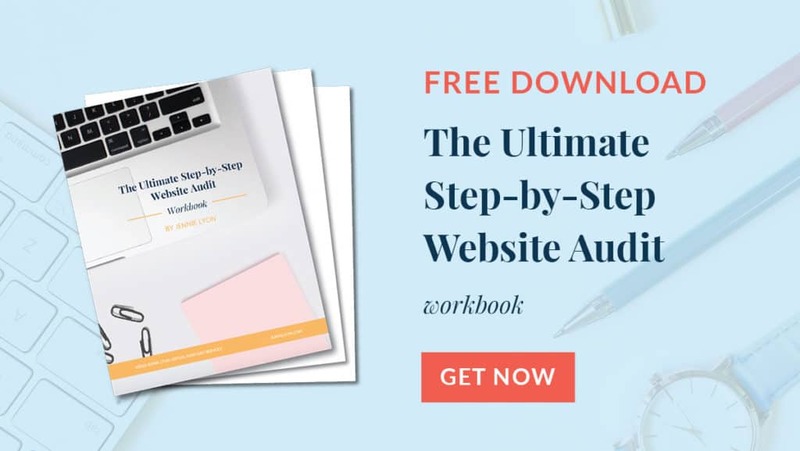 If you’d like to give your website an audit, I can help you get started with my website audit checklist. This is the document that I use every time I work my way through a site for a client! A comprehensive website audit is the first step of a fantastic website face lift! Getting a website audit can be a smart move for a small business owner. If there is any part of your site that isn’t offering an optimal experience to your audience, you need to know about it. And then, of course, you need to fix it. I provide both services! Your business runs in 2019, but what about your website? For potential customers or clients, there’s no bigger turn off than a homepage that looks like it hasn’t been touched since ‘05! This free workbook will bring you one step closer in the right direction! 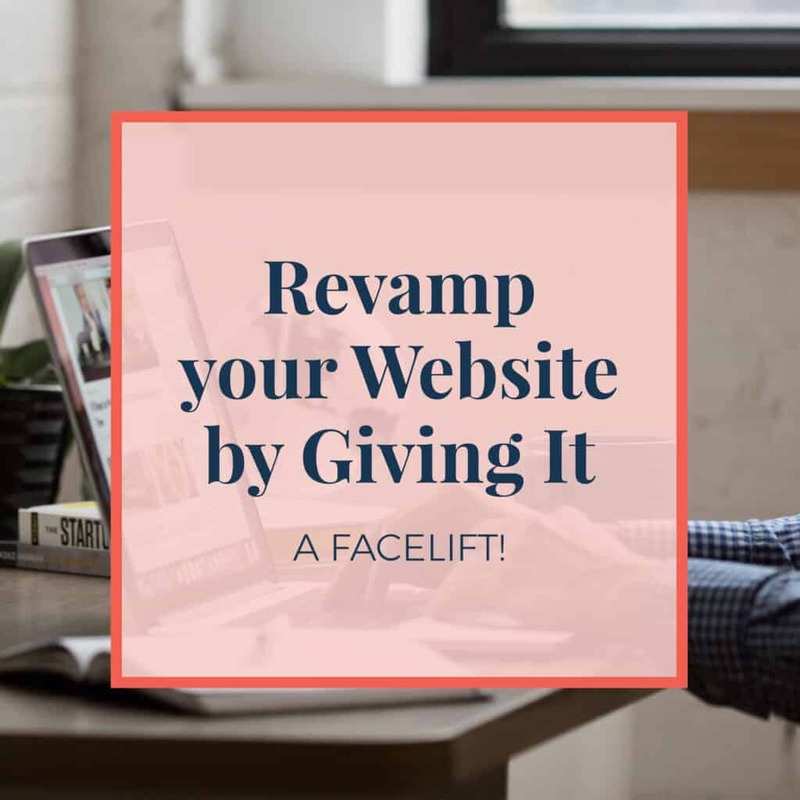 If you’d like to find out how much a facelift your website needs, contact me for a free consultation! Can’t wait to make your website shine!